It looks like a simple monolithic tower but the newest, sleekest, addition to the Seoul skyline is actually an exceptional feat of engineering, comprised of 20 different types of glass. 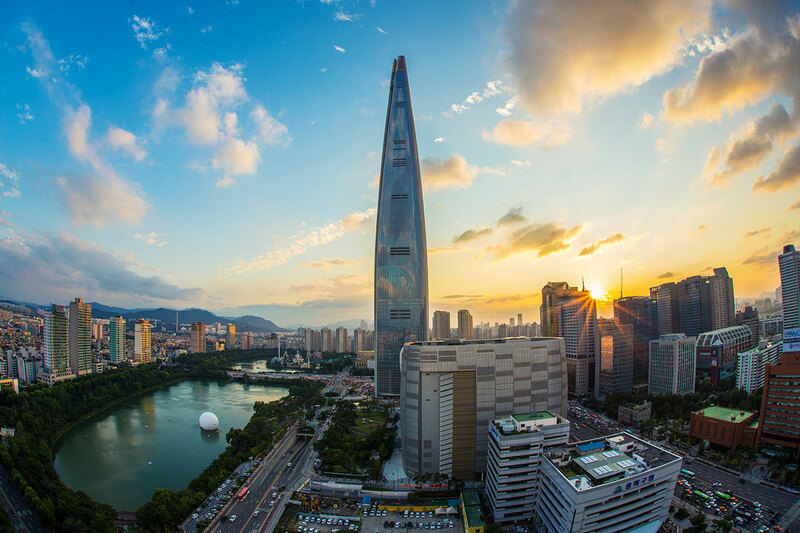 The Lotte Tower, a creation of American architectural firm, Kohn, Pederson, Fox (KPF), rises 1821 feet into the clouds—123 stories—making it the tallest building in South Korea and 5th tallest building in the world. Lotte Tower was an architectural challenge that required 6 years of construction—and a whole lot of glass. The building’s exterior of pale colored glass draws inspiration from traditional Korean painting and ceramics, and features accents of metal filigree. 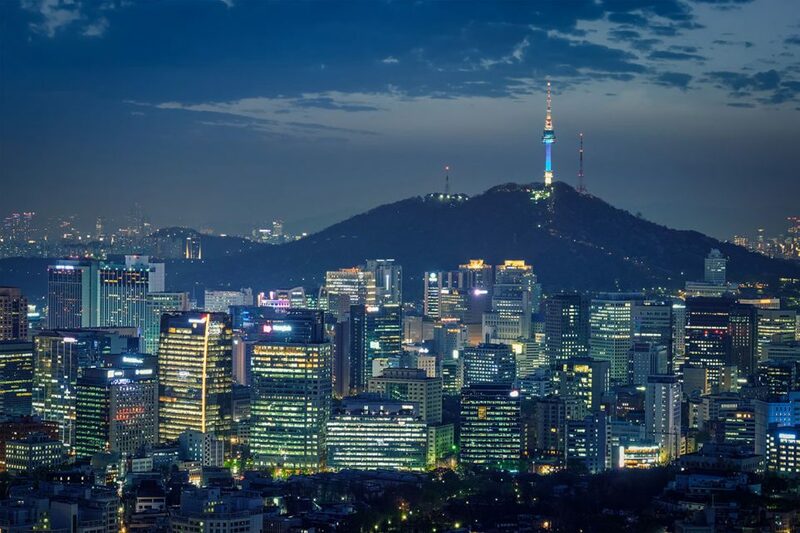 Its massive cone shaped silhouette with convex, gently curved sides, strikes a bold contrast against the backdrop of Seoul’s rocky, mountainous geography. The interior is no less intriguing, with a unique design that accommodates a wider variety of functions than normally found in a skyscraper. The drama begins the minute visitors walk through the door into the spectacular 100-foot-tall lobby, enhanced by a gradient of mirrored frits on the glazing. Like every meticulous detail in this complex design, those frits serve a specific purpose. In this case it is the dual function of providing shading and views at ground level. 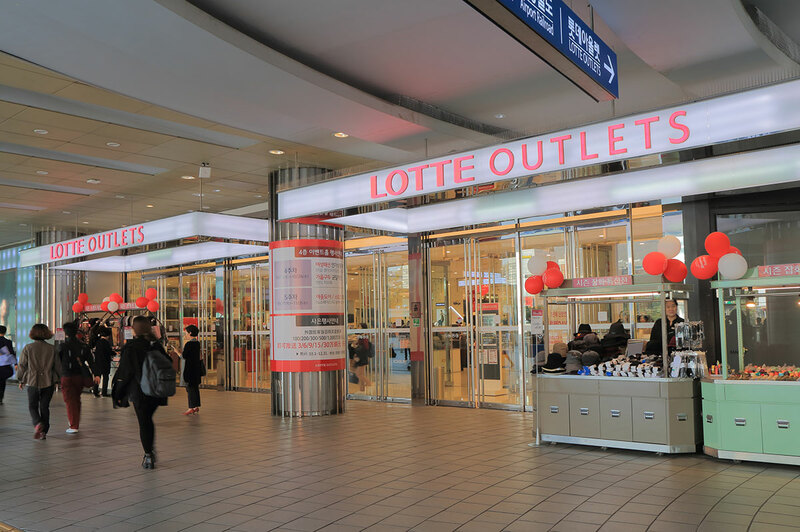 For those who work in the office spaces located on the bottom of the building, there is an officetel, the South Korean version of onsite employee housing. Officetels offer studio apartments and hotel style amenities like security desks and gym access. Those residences feature laminated safety glass on the inner lite and heat strengthened glass on the outer lite. The hotel and office section use heat-strengthened glass in both. According to the KPF team, the goal was to create uniformity in the thickness of the exterior glass to keep the building from having the appearance of a “giant patchwork quilt.” Whatever happens on the interior is inside the reflective coating, so much less visible to the outside. While Lotte Tower appears wispy and ethereal, its structural engineering is anything but. The roof is designed to support its weight without reinforcing pillars, endure winds up to 80 mph, ands survive earthquakes measuring up to 9 on the Richter scale. Lotte Tower is the fifth KPF project to be added to the list of the world’s top 10 tallest buildings. 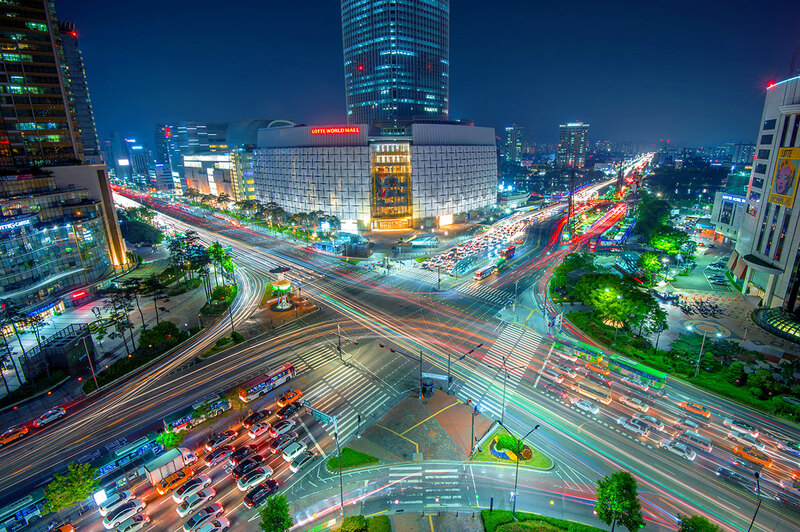 Their other projects include the Ping An Finance Centre, the CTF Finance Centre, the Shanghai World Financial Center and the International Commerce Centre.